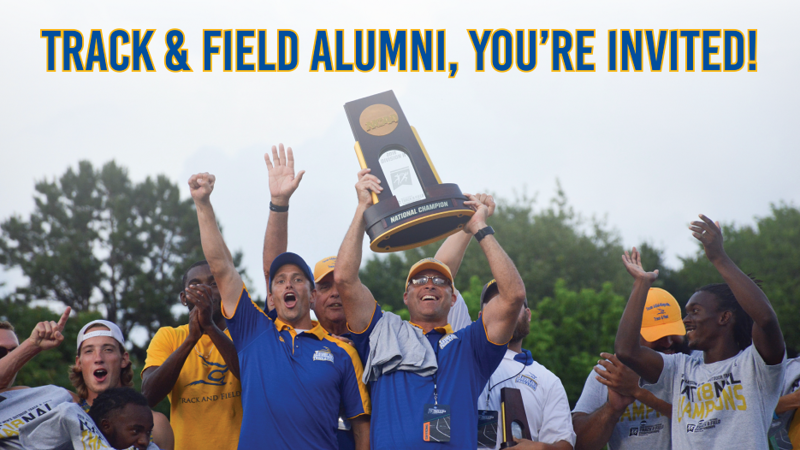 Please join our new President, Dr. Mark A. Hussey, and our new athletics director, Steve Roach, at a reception just for you – our Javelina Track and Field alumni. As you probably already know, the 2019 NCAA Division II Outdoor Track and Field Championships will be at Javelina Stadium May 23 through May 25. We’re inviting you to a special brunch reception at 10:30 a.m., Saturday, at the President’s House on campus. We’ll enjoy brunch and then head over to Javelina Stadium for the final day of the national meet. Our men’s team is defending its 2018 national title, so with a little luck, they'll pick up some hardware again this year. Please tell us you will join us in Kingsville on Saturday, May 25. RSVP to Ruby Gonzalez at ruby.gonzalez@tamuk.edu or by calling 361-593-4338.